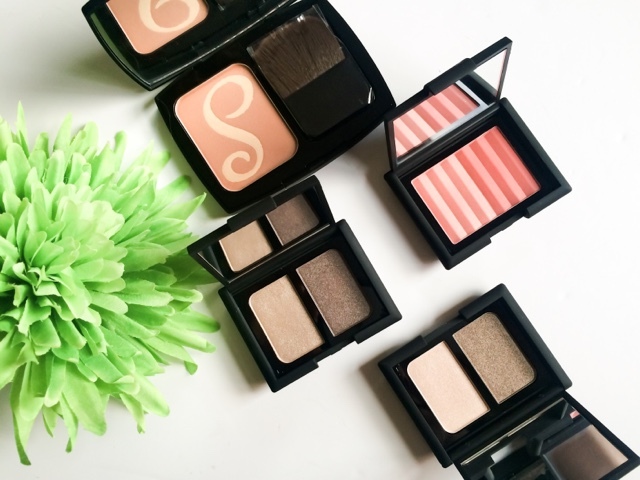 Affordable make up can sometimes be hard to find, and compromising on price can sometimes effect the quality, meaning the products lack pigmentation and longevity. This isn't always the case of course and when buying make up the trick is knowing where to spend your cash and where you save it. Smooch cosmetics are an incredibly affordable brand that offer a wide range of products at prices we can all afford. I've been trying a few bits out to see if the budget brand lives up to its more expensive competitors. The packaging is all too familiar, it has a Nars vibe to it with the rubberised black casing. Obviously if you have some Nars products in your stash you will know these are a bugger to keep cleans and the same applies to these. 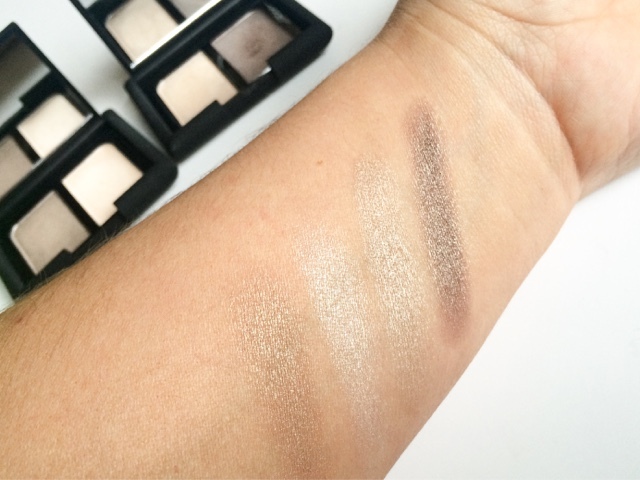 The eye shadows feel buttery soft in the pan and initially deliver fantastic pigmentation, all off to a good start! I found when applying them with a flat shader brush and packed the colour onto the lid the pigmentation stayed. When blending out they did so with ease but (especially) with the darker shades the colour pay off faded, and the colour blend away to almost nothing. This isn't a major flaw, it just means that you need to build the intensity up. Apart from that I was rather impressed, and for the price think they're well worth it! These two are my favourite from the items I've tried. The bronzer on first inspection seemed a good colour, not too warm or on the orange spectrum and of a semi matte satin finish with a gold shimmer spray over the top where the 'S' is. 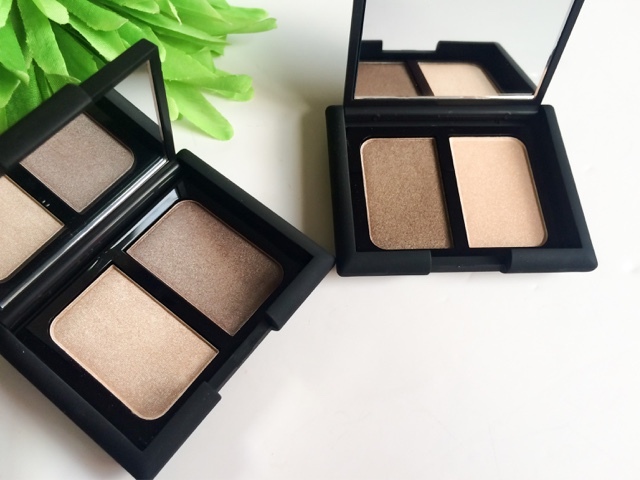 The shimmer faded after the first couple of uses and it performed just as good as some of my high end bronzers, by warming up the skin without leaving a chalky or powdery residue behind. The colour was perfect for my skin tone, a nice natural sun kissed shade that, when used with a light hand can even be used on the palest of skin. 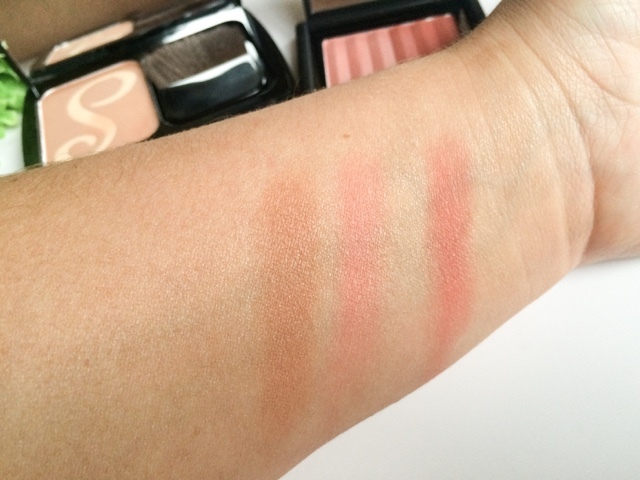 The blusher is two tone and a nice peachy pink in a matte finish which is ideal for pale - medium skin tones. 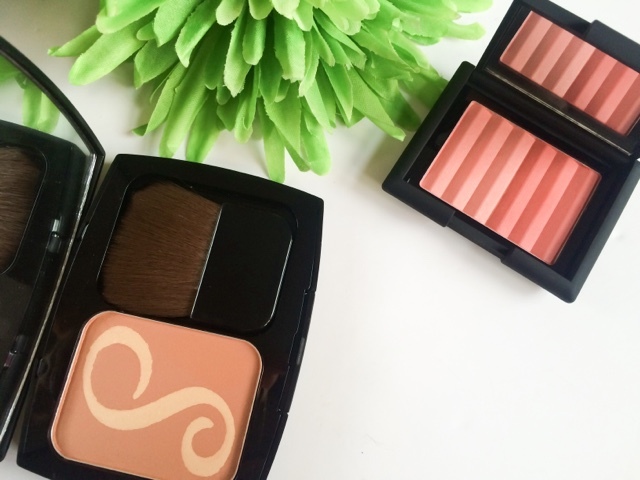 It gives a lovely flush to the cheeks and the perfect shade to compliment any make up look. I like the fact that you can either use the colours mixed together for use them singularly giving you more colour options to choose from. 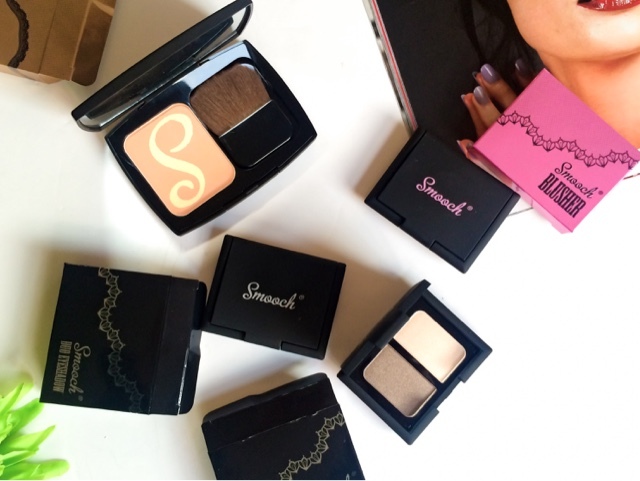 Have you tried any products from Smooch Cosmetics? What did you think to them? These all look lovely! The packaging reminds me of NARS!